Can you be arrested for not paying student loans? No, not directly. However, not paying student loans can have far-worse implications than not paying credit cards or your mother-in-law. 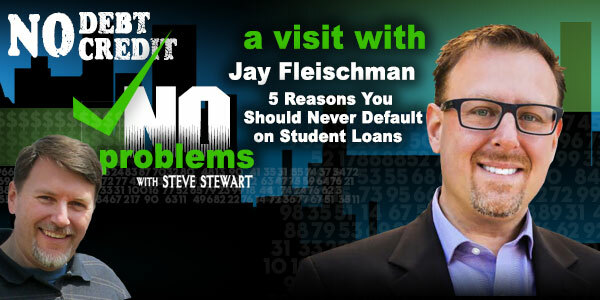 Jay Fleischman, a lawyer who concentrates on Consumer Protection, brings us the 5 reasons you should never default on your student loans. The interview was recorded before the story broke about the Houston man being arrested for not paying a student loan for 30 years. As we go through the Top 5 reasons you should never default on student loans I want you to punch yourself in the face each time we say you can be arrested for not paying your student loans. Click here to view the detailed Shownotes at SteveStewart.Me! Don’t Forget to Rate this Podcast on iTunes! Steve has been the host of several successful podcast efforts that include the MoneyPlan SOS podcast, is the host for this program – No Debt, No Credit No Problems. Steve is also the creator of the wildly-successful Podcast Editor’s Club on Facebook. Steve is now producing podcast content for a number of industry leaders and hopes that you’ll consider him when needing new podcast production in general. 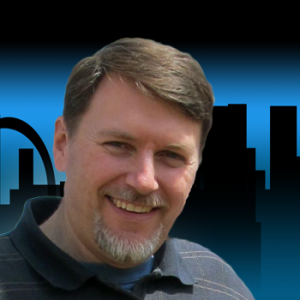 Steve lives in the St. Louis, MO area and has been promoting the podcast community since 2009.